Airtel, has taken significant measures to ensure excellent network and service experience during the time of Simhastha Mela 2016, happening in the city of Ujjain from 22nd April. A footfall of five crore is expected for the Mela during the 30 days. As a part of the Mela, Airtel has primarily upgraded the capacities of all the 72 towers in the city of Ujjain. The existing infrastructure will be supported a robust network of 26 COW (coverage on wheels) towers. These COW towers are strategically parked to cater to the additional network needs of the core Mela areas and Ghats. Such an arrangement will ensure best-in-class connectivity, even during peak hours, said the operator. Moreover, steps are taken to ensure better service in 500 highly visible retail outlets, has augmented its retail presence by tying up with the local entrepreneurs and outlets. This would help the pilgrims to grab the recharge vouchers conveniently. There will be also the presence of 50 field sales executives, who would keep moving in and around the field of the Mela. There are two exclusive company stores, 50 specially decked up Airtel Sahayta Kendra in the city and 130 all around the district of Ujjain. The teams at these Sahayta Kendra are trained to handle the influx of roamers, besides handling the routine service-related matters, said the release. Airtel has stocked U-SIMs or Universal SIMs as well as SIMs from all the 23 telecom circles. This will enable the roaming customers to get a SIM replacement in no time, in case of a loss of handset or the existing SIM getting damaged. Customers can also take new connections. 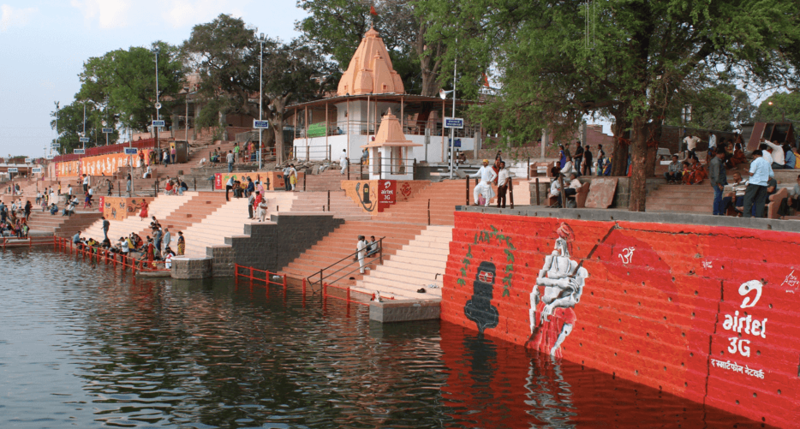 Besides improving its own services to cater the crowd, Airtel has taken part in the beautification of all the major Ghats — Triveni Ghat, Gau Ghat, Sidhwat Ghat and Mangalnath Ghat — on the banks of the holy river Kshipra. Airtel has helped in painting the 20,000 square feet walls around Ujjain gleaming with social messages. Airtel has further contributed more than 250 traffic barricades to the police for maneuvering the huge traffic during the fair. 100+ signages notifying people about Panchayat information, contact details of the Village Sarpanch, information about nearest police stations and emergency contact numbers are also established.